Six thousand foreclosure requests filed by banks at land registry offices across Cyprus remain pending and are not expected to proceed soon due to the land registry offices heavy workload. BANKS have filed 6,000 foreclosure requisitions with the land registry which remain pending due to heavy workloads, AKEL MP Yiannos Lamaris has said. Current legislation offers no protection to homeowners’ primary residence, meaning that if the 6,000 requisitions were to be pushed through, the properties would be foreclosed, prompting the submission of a bill conditionally protecting families’ primary residence to the House Legal Affairs committee. After consolidating three pertinent but separate bills into one, the Legal Affairs committee has decided to resume discussion in two weeks, after the government’s law office has submitted its opinion. According to the committee’s president Sotiris Sampson, the legislation seeks to avoid creating homeless families by protecting their primary residence against foreclosure requisition, offering similar protection to premises owned by small-to-medium enterprises (SMEs). “Distressed debtors who have lost their income or otherwise fallen into financial hardship will be eligible to apply for protection from foreclosure requisitions for a specified period of time, at the end of which they may either wish to apply for further protection or resume payment,” he said. Sampson said that as the law will apply following the exhaustion of loan restructuring efforts, it could prove an incentive for banks to ensure the workability of restructuring agreements. Lamaris expressed the view that a law protecting the primary residence will be a major step towards alleviating citizens’ concerns. He said that limiting the scope of the protection by imposing criteria based on value or area will “alter the philosophy of the law”, and clarified that with regard to SMEs the protection will apply to businesses with a maximum of ten employees or annual turnover not in excess of €2 million. He clarified that the proposed legislation aims to offer protection only in cases where debtors have lost their source of income and are unable to repay their dues. “Despite the banks’ assurances to the committee that foreclosures are last on their list of options, the House feels that legal protection should be offered as soon as possible”, he said, concluding that the fact that 6,000 foreclosure requisitions remain pending and are not expected to proceed soon at the land registry due to heavy workloads, is not sufficient protection. Andrew there only is one answer which is the same as before, keep up, increase the pressure on the EU/MEPs. The Banks will not tell an individual what their developer owes. 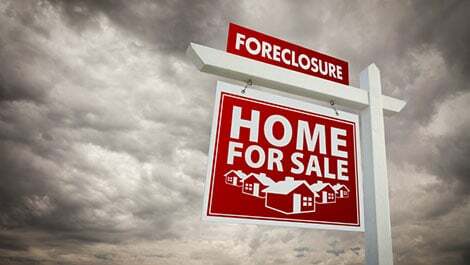 Will the banks now tell owners of impending foreclosure. Or is that a matter between the bank and the developer also. What rights does a duped home buyer ever have. None it seems! Keep up the pressure on the EU-MEPs, it’s the only way. In this context what exactly is the meaning of primary residence? My fully paid up property for which I have been waiting 8 years for title deeds is my primary residence. However it is not the primary residence of the developer who is still holding the title deeds.